We want to see more people achieve financial freedom. Holding Bitcoin is the way forward, but few can invest huge sums. Joining our club allows people to buy a little Bitcoin every month. It's a brilliant opportunity with low risk and an enormous upside potential. 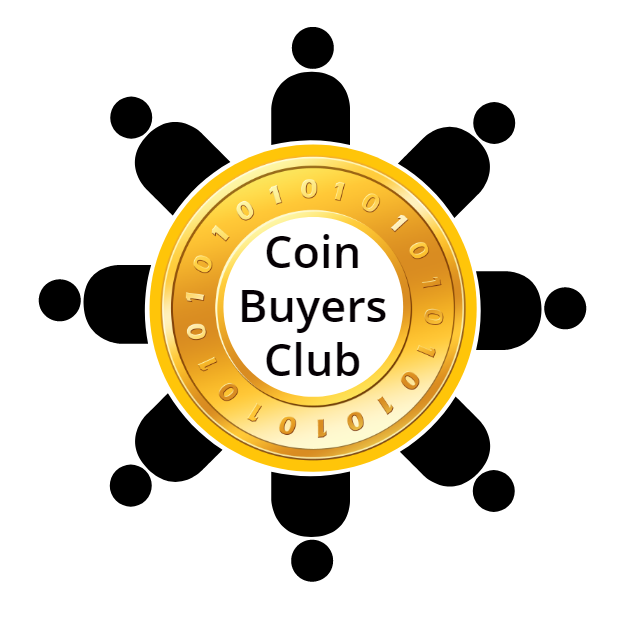 The Coin Buyers Club gives almost anyone the chance to benefit from Bitcoin. We have created a product specifically designed to help people get started, even if they have zero knowledge of how Bitcoin works. While we would love for everyone to hold their own Bitcoin and understand the technology, we know that's not realistic in the short term. So if you're completely new to this, our product will help you get started now and teach you more over time. Ultimately, if we're successful, you'll be buying and selling Bitcoin on decentralised exchanges and storing it on secure hardware wallets with no need for our services... but until then we're here to make this as simple as possible. If you have a bank account in South Africa and you can complete the form on our website, that's all you'll need to start benefiting from Bitcoin immediately! Welcome to Bitcoin with The Coin Buyers Club! It's Simple. Andrew Caw was born an entrepreneur. Always interested in technology, he started his first business building computers and selling PC components at age 14. He built this into a successful IT sales and services company which he ran until 2016. In his corporate career, Andrew was with a prestigious private school for 11 years where he was the head of IT and the product owner for all hardware, software and telecommunications for all staff, student and computer centre equipment. He has managed a team of direct reports and facilitated training, strategic planning and systems development on a large scale. In 2014 Andrew discovered Bitcoin and started buying and holding it when it cost just R3600 per Bitcoin. By February 2016 Andrew had experienced first-hand the power of holding Bitcoin. He sold his small IT firm to a friend, and began to create his own rules for his time. He was retired and debt free by age 32. Not one to enjoy a life without contributing to society, Andrew has focused on learning all he could about Bitcoin, the financial services industry and "Money". He's spent the past few years simplifying this knowledge and teaching it to others. In the process, he's studied a wide range of businesses and business models - trying to find a way to help others achieve the financial freedom he's enjoyed since 2016. Unfortunately, he experienced significant losses of Bitcoin through two major cons. These experiences shape his teaching of how to handle Bitcoin correctly. He has a passion for helping others achieve true financial freedom. With his first Bitcoin company he's helped hundreds of people get started with Bitcoin and now with The Coin Buyers Club his vision is to help not hundreds or even thousands but millions of individuals get started with Bitcoin and see whole communities changed. He plans to help them achieve financial freedom in the next 5-10 years. James Caw was born three years after Andrew. In a recent article, James read that there are two types of Entrepreneur. 20% of entrepreneurs are truly innovative, creating new ideas. The other 80% are excellent at refining those ideas and growing them to new heights. James is in the 80%, but fortunately for him, Andrew is in the 20%. James first worked as a sales rep for a manufacturer in Johannesburg. He grew in the role to be the Sales and Marketing Manager, leading a small team and achieving good results. Part of his success was an early adoption of Google Adwords and online marketing, which lead him to start Caw Consulting - a small but successful digital marketing agency. In 2014 James was invited to move to Cape Town as the Marketing Manager for a software firm, where he pitched his technology employer to billion-dollar U.S. corporations. After successfully launching the business into the USA, James had an opportunity to move with the company to America. Not wanting to exit South Africa for many reasons, James has continued growing Caw Consulting. James' Bitcoin story is far less exciting. In early 2016 his Bitcoin holding was significant, having more than doubled in Rand terms. With the software firm moving to the States, and disruption at his wife's employment, he was excited by the growth in his Bitcoin and sold everything at a Bitcoin price of R7200, "Surely it couldn't grow more?" In the next two years, Bitcoin flew past the R10,000 mark and hit R100,000 sooner than he thought possible. Andrew had told him not to sell everything, but he didn't listen! Since 2017 James has done the administrative order processing for people who responded to Andrew's passion for Bitcoin and asked for help to get started. While interest in Bitcoin was growing, James and Andrew tested other income opportunities for generating long-term wealth. After reviewing many such businesses and models, the Caw brothers recognized the power of simply buying and Holding Bitcoin. The idea of a community designed to help people grow wealth through Holding Bitcoin and educating more people about the power of this emerging technology began to form. In mid-2018, this community was launched in the form of The Coin Buyers Club. It exists for others and has been created as an easy way to get people started, and keep them involved, in cryptocurrency.